Recently I was at the grocery store with avocados on my list. As I approached the avocado bin, one of the produce associates had a small gathering of customers around him. He was explaining and showing how to tell if an avocado was ripe and ready, perfectly green and creamy on the inside, and free from ugly brown spots. I stepped a little closer and listened, too. The associate pointed out that most people check to see if an avocado is ripe by squeezing it. This is not the best test and can bruise the avocado which creates waste. Others go by color. 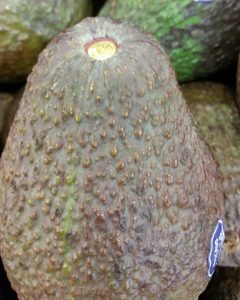 However, avocado varieties vary in their mature color so color is not always a good indicator of when an avocado is ready to eat. 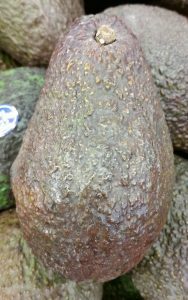 For example, West Coast Hass avocados should be very dark green-to-black and bumpy. Other varieties might be a shiny, smooth green at their prime. In either case, the fruit should feel heavy and firm. So color and firmness is a good place to start, but there is a third and almost foolproof way to tell whether an avocado is worthy of consideration. The key is checking under the nubby stem for a sneak peek as to what’s going on under the skin. Pull back the small stem or cap at the top of the avocado. If it comes away easily and you find green or yellow underneath, you’ve scored a good avocado that’s ripe and ready to eat. Give it a day or two and the flesh will be softer if you prefer. On the other hand, if you pull back the stem and find brown underneath, the avocado is overripe and likely there will be brown spots inside the fruit. And last, if the stem doesn’t come off, the fruit isn’t ripe and needs time to ripen. With proper ripening techniques, the fruit will be ready in a few days. Like pears, avocados do not ripen on the tree; they ripen after harvest. To speed up the ripening process, place unripe avocados in a brown paper bags with an apple or banana for two to three days. The naturally occurring ethylene gas found in fruits such as apples and bananas triggers the ripening process. The bag helps to contain the ethylene gases and hasten the ripening process. So there you have it! The best advice on how to pick a perfect avocado without squeezing from a produce associate. Happy avocado picking! 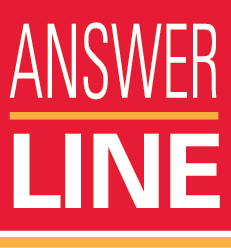 I am a graduate of the University of Nebraska-Lincoln with a BS in Home Economics Education and Extension and from Colorado State University with a MS in Textiles and Clothing. I enjoy spending time with family and friends, gardening, quilting, cooking, sewing, and sharing knowledge and experience with others.